MSG Dan Moody, grew up in the Ozark mountains around Rogersville, Missouri where he enjoyed hunting, fishing, camping, and motocross racing. 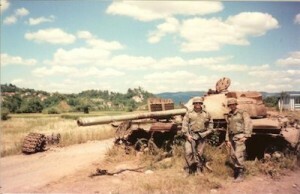 In August 1989 two months after graduating from high school he joined the Army as a cannon crew member. He was assigned to the 1st AD in Germany and deployed to Saudi Arabia and fought in the Gulf War. 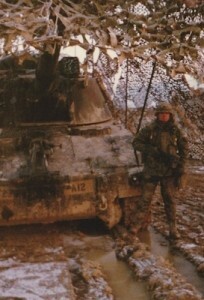 On Christmas of 1995 he deployed to Tuzla, Bosnia with IFOR for a year. In 1997 he retrained as a Fire Support Specialist and served as an instructor until 2000 where he was assigned to the 2nd ID in South Korea as a Platoon Sergeant. Assigned to the 1st Cav. Div. 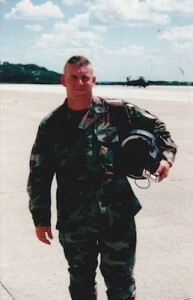 at Ft Hood, TX in 2001 he was deployed numerous times to Iraq in support of OEF and OIF. In 2007 Dan underwent numerous surgeries, to include spinal cord surgery. Due to all of the injuries Dan sustained throughout his 23 years of active duty, he was medically retired from the Army.